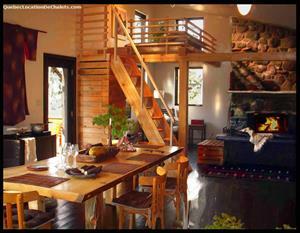 Romantic Getaway... Beautiful Glen Sutton retreat, with views of mountains and water gardens, next to a Mountain brook. 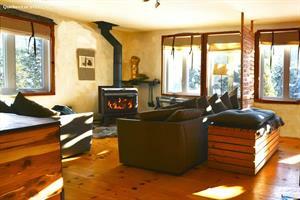 A 10-15 minute drive from Sutton village and Mansonville, three different ski hills (Jay Peak, Owl's head and Sutton), golf courses, cross country ski trails, this is a great location for skiing, snowboarding, biking, canoeing/kayaking, hiking, horseback riding, bird watching or simply taking a long walk along wooded trails or picturesque mountain roads. 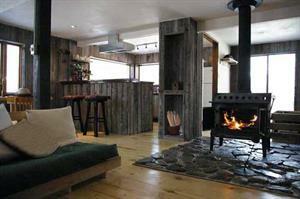 Handmade, this chalet is full of handmade items and is designed and built by artisans..